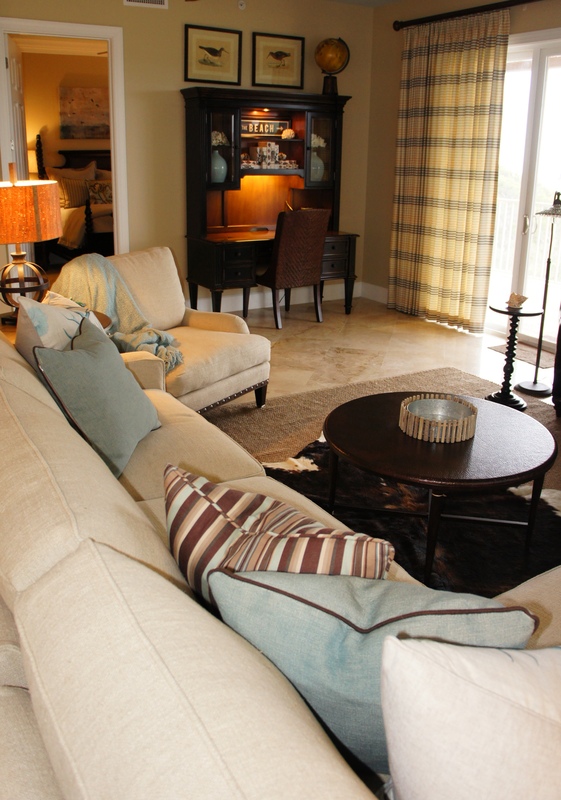 The barstools are Palecek; the sofa is Milling Road; the chaise lounges are Century Furniture; the bamboo arm chairs are Drexel Heritage; the cocktail table is Ralph Lauren by Henredon; the area rug is Masland. 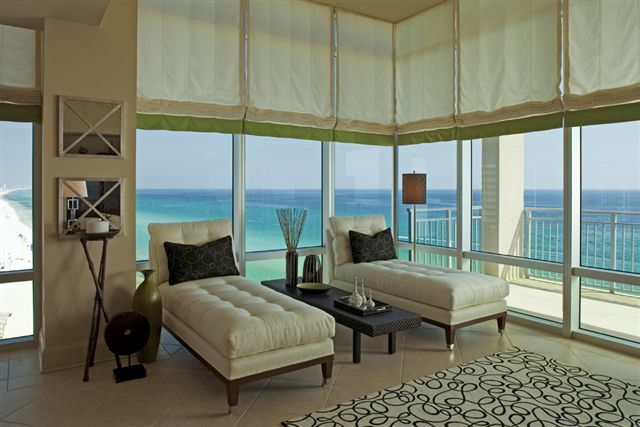 This is the penthouse at Signature Beach in Destin, Florida. 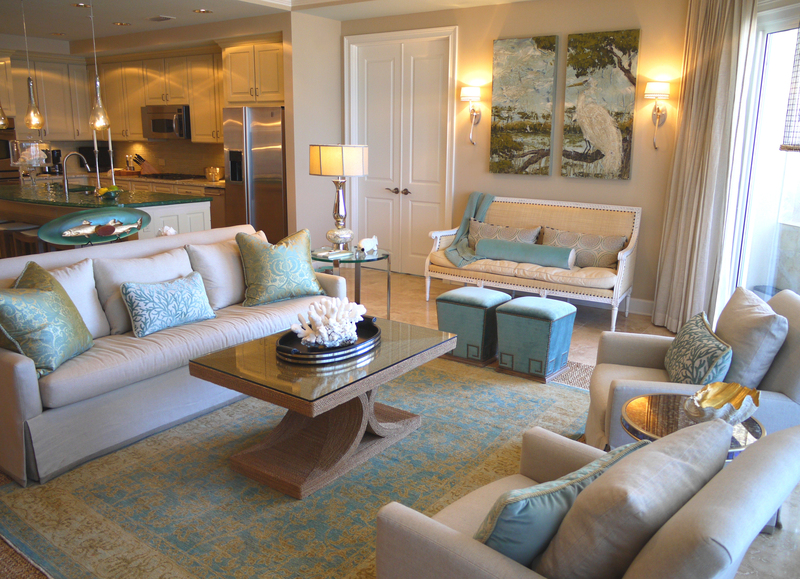 This spacious unit has a panoramic view of the gulf of Mexico, which served as the focal point of the entire design. 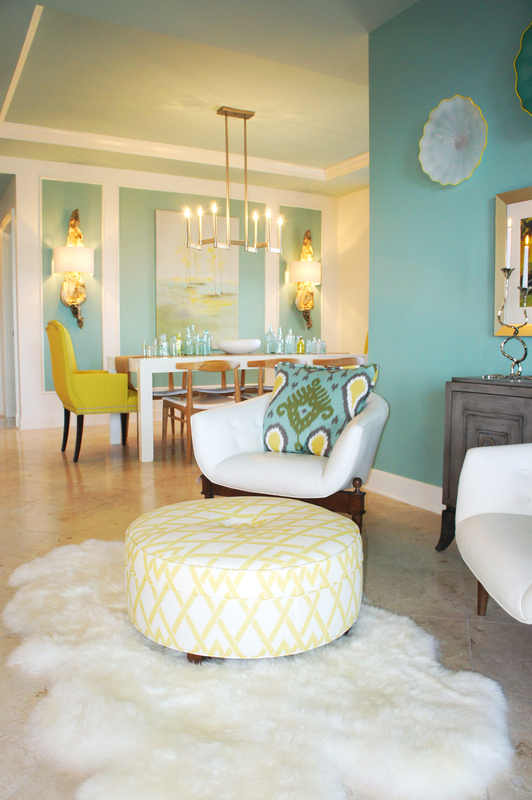 The cream backdrop of the upholstery, tile, window treatments and area rug are reminiscent of the sand, and allow the colors of the ocean to “pop” as artwork. 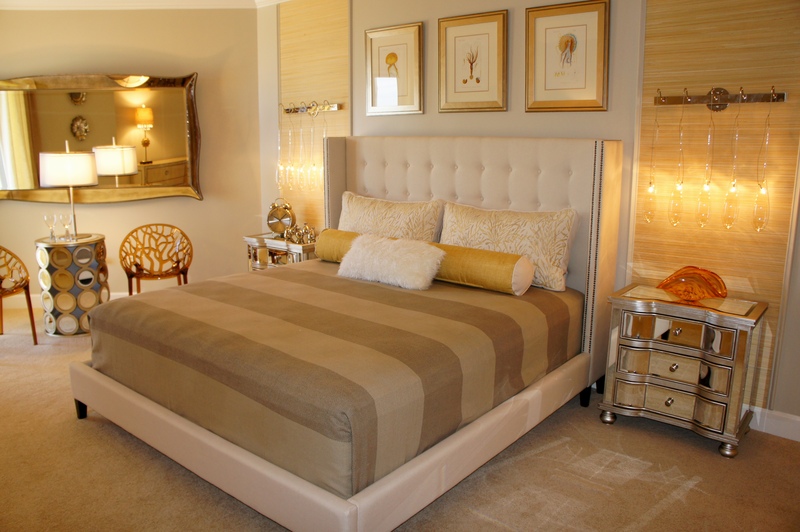 Walking on this thick, plush area rug is like sinking your toes in the sand! The solid glass cocktail table, reflective mirrors and shiny chrome represent the water. The view served as the canvas, or backdrop, for the interior furnishings. I designed these fabric roman shades for all the floor-to ceiling, wall-to-wall windows. These can be raised high enough to cut out some of the sun, while maintaining the gorgeous view. They can also be fully lowered for privacy. 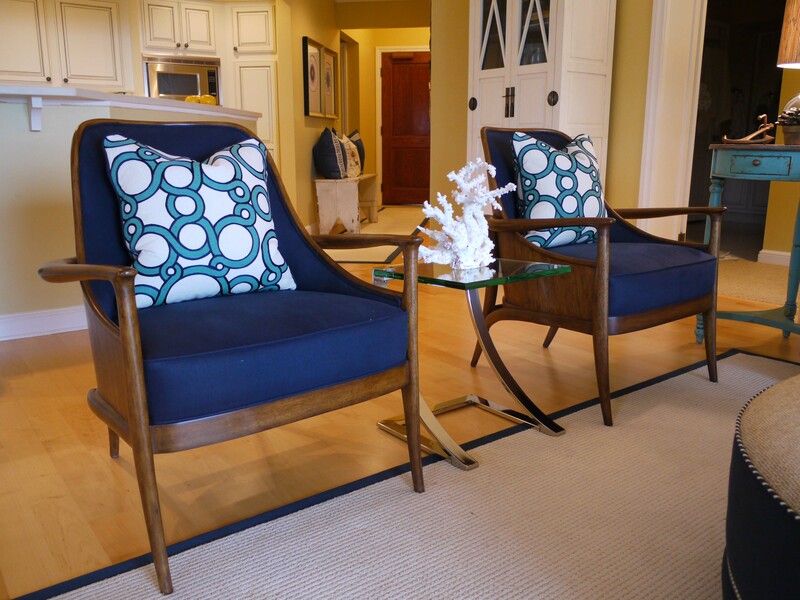 A pair of chaise lounges on casters keeps this prime spot versatile for many uses. The lounges can be turned out to face the beach, or turned in to face the television, or pushed together for romantic settings. 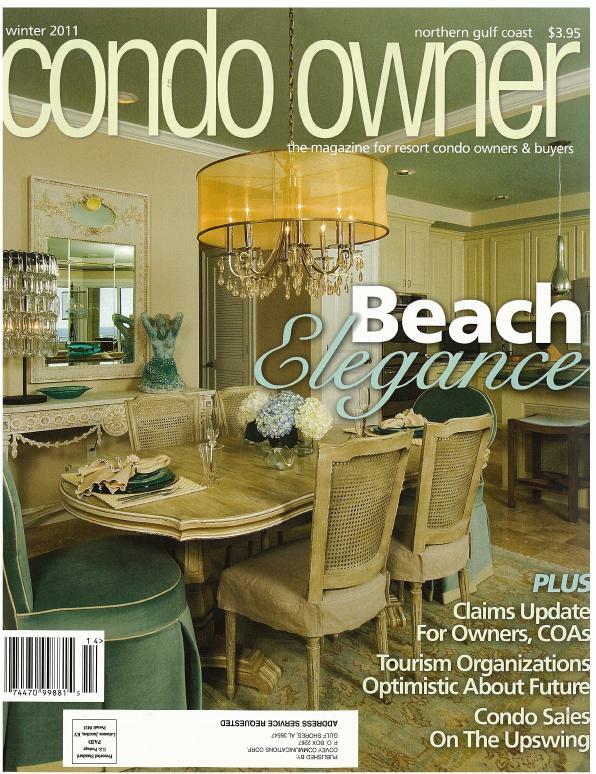 This penthouse was featured in the January/February issue of Florida Travel and Life. 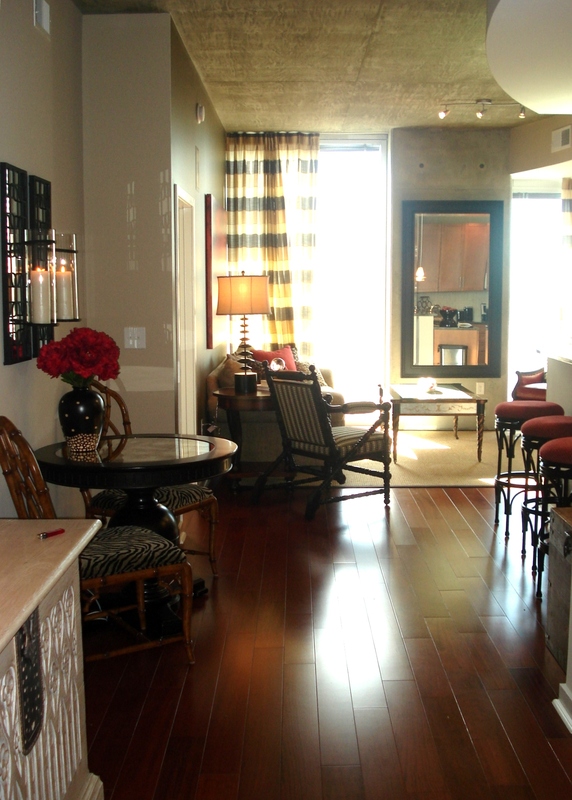 Check out my design tips in the article! 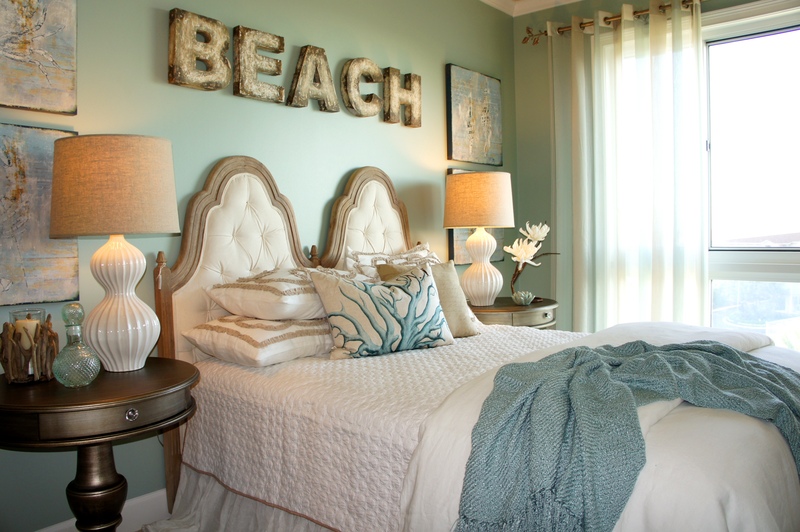 Incredible, Beach Style, Very South Beach Style – Elegant.